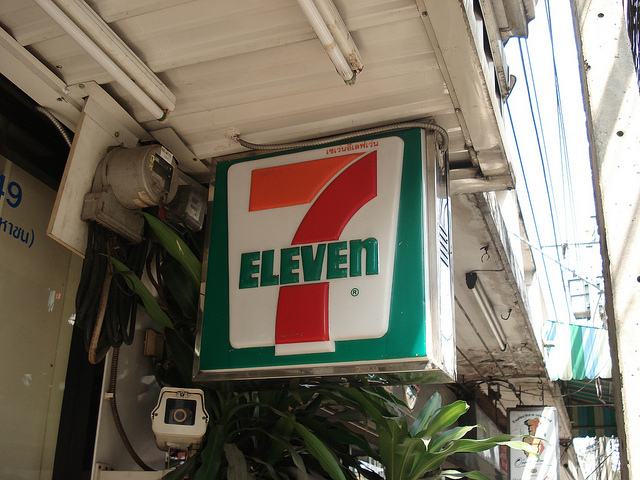 As a testament to just how ubiquitous they are, if I was to say “7-11” to you, what would be the first thing that flashed into your mind? In some cases it might be a slurpee, in others it might be the iconic sign. No matter, we all have an image that would appear in our heads. The product managers at 7-11 are working hard to extend the images that we already have in order to get us to think about something else when we think about 7-11: packages. So how do the 7-11 product managers plan on getting more people to come to their stores? Simple – lockers. More specifically the 7-11 product managers are changing their product development definition and adding lockers that get filled with all of those packages that you and I are always receiving from Amazon, UPS, FedEx, and other firms. 7-11 is busy installing lockers in select stores and they have recently announced that they’ll soon be accepting packages from WalMart also. You might be asking yourself: why would anyone want to have their package delivered to 7-11? It turns out that this is a very viable option when for whatever reason you don’t want the FedEx or UPS man leaving an unattended package sitting at your front door. I can tell you that when I order a gift for my wife, I would really prefer that it not come to the house because there is too great of a chance that she’ll open it up by mistake. Currently there are 200 7-11 locations that provide this service. Customers show up at the 7-11 and are able to unlock the locker that contains their package by using a bar code that was sent to their smartphones via email. Once the locker reads the correct bar code, the scan will automatically open the locker and the person can retrieve their package. The companies that are shipping packages see the service that 7-11 is offering as a boon because their distribution networks are becoming overtaxed and shipping costs are slowly spiraling up and up. The 7-11 product managers were motivated to start to offer this new service. Most of the sales that occur at a 7-11 are impulse buys. However, you need to have people in the store in order for them to have the impulse to buy your goods. What was happening is that more and more people were purchasing the products that they would normally get at a 7-11 online. If they get this right, then the 7-11 product managers may have something to add to their product manager resume. This new service does come with its own set of risks. The way that a 7-11 makes money is by selling things that it has in its store. However, if it adds lockers to a store then it is going to have less shelf space to stock with things for people to buy. The size of each locker is roughly the same as one large shelf in a 7-11. If a 7-11 is equipped with dozens of lockers then this could cause a store to lose thousands of dollars of sales over the course of a year. 7-11 does have a strategy when it comes to these new lockers. What they want to happen is for more customers to come to their stores and make more impulse purchases. What the product managers are hoping is that the fees that they charge for hosting the lockers in their stores along with the increase in visitors that the lockers will generate will allow 7-11 to capture at least a small part of the growing e-commerce business. The product managers at 7-11 are showing some real innovation and are building out their product manager job description. Considering the fact that 7-11 stores are retail stores that generate their income from selling impulse purchase products to customers, the product manager’s decision to start to place lockers in some stores shows some real “out of the box” thinking. Amazon, UPS, FedEx, and Walmart are all dealing with the challenges of trying to get products directly to their customers who order them. What the 7-11 product managers are now offering them is a centralized location that they can drop their packages off at and securely make sure that they get into the hands of the people who ordered them. Consumers may also start to order more now that they can be assured that they will actually get the products that they order. There is a careful balance that will need to be struck between how many lockers are placed in a 7–11 and how much shelf space has to be given up for lockers. I think that this is a great idea. I believe that the 7-11 product managers will eventually discover the right balance of lockers and traditional 7-11 products. This change will allow them to stay relevant even as more and more people spend their time shopping from home. What the 7-11 product managers will need to watch out for will be copycats. They need to discover what makes having a locker at 7-11 unique and valuable. Question For You: Do you think that the 7-11 lockers could be located outside, or would that cut down on foot traffic too much?